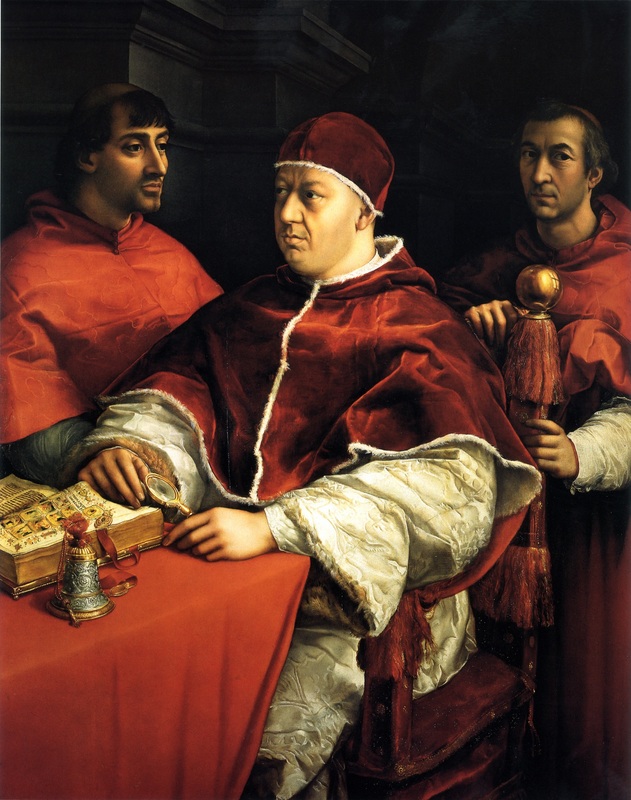 Five hundred years ago, Pope Leo X, authorised usury (the charging of interest), terminating 1500 years of Catholic/Christian prohibition. This single act opened the gates of usury hell, from which the flood has since never abated. In this post I explain the event, give background information putting the decision into proper political context, and make comment on the “slippery slide” in which the Catholic church (and most of Christendom) and in due course the entire Western world has found itself. Usury  is the practice of charging interest . . . essentially making money off money based on the passage of time. Interest compounds (it is exponential by nature) and is therefore an unsustainable practice. It is the mechanism by which the rich get richer and the poor get poorer and enslavement can occur. Biblical teaching back to the Old Testament is solid with the Torah specifically prohibiting the practice, except as a tool in which to enslave God’s enemies. Of course Jesus too clearly denounced usury. For fifteen hundred years the leaders of the Christian church had unanimously condemned usury as evil. Participating in the practice (either as a lender or a borrower) was considered a mortal sin and had very serious consequences. 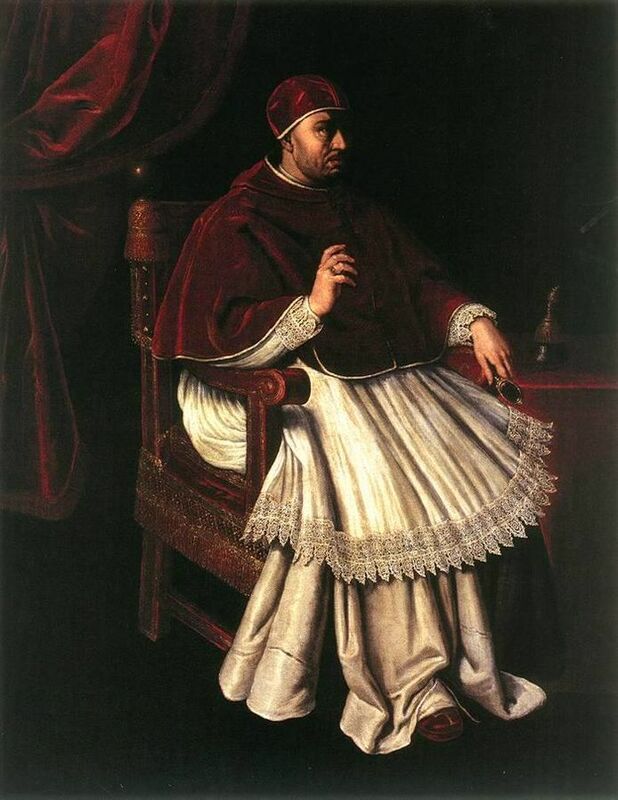 On the 4th May, 1515, Pope Leo X for the first time in the history of the Catholic church, approved the charging of interest for the Montes Pietatis. This Catholic social service was essentially a pawn shop in competition with the primarily Jewish money-lenders and following Leo’s endorsement it flourished, particularly in Italy as a direct result of the Papal Bull giving moral approval to the practice. With this one act, usury as an immoral concept per se, was now formally redefined into a matter of degree. Usury thus became viewed as excessive interest and usurers as those who charged interest at excessive rates. No-one can ever define “excessive” of course! Except for very small pockets of enlightenment, and the Islaamic banking world, the charging (and receiving) of interest is now normal across the globe. The Papal bull, issued 500 years ago, 4 May 1515, which sanctioned the charging of “moderate” interest for the Monti di Pietà, stands condemned as a ‘red letter’ document in history, the point at which mankind consciously stepped on the ‘slippery slope’. The influence of the Catholic church, and then the majority of the Protestant church of course has been profound. He ruled as Pope from 1513 until his death in 1521 (45yo), and had the ignominy of being at the helm, perhaps even the one who generated the ire of Martin Luther when Luther took the Catholic church on and thereby started the Protestant Revolution. One of the key concerns Luther had was the practice of indulgences introduced by Leo X. For eons the big names of the Catholic church had denounced usury as outright evil – viewed unanimously as an immoral and accursed conduct. The Money Power however exerted various forms of pressure on the church to authorise usury, but she resisted . . . until 500 years ago. The politics surrounding this Papal bull are well detailed in Michael Hoffman’s Usury in Christendom – The Mortal Sin that Was and Now is Not, but in essence there was extreme pressure on the Catholic church to deal with high interest rates from the Florentine bankers and others where interest rates of 45% were normal and 60% quite common. With short monetary supply at the time the ‘nod’ given to the church’s own pawn shop to charge “moderate” interest (and only for the purposes of cost-recovery) must have seemed very reasonable to those involved. The question of usury as an immoral, scripturally prohibited act in itself was not addressed specifically. The question however applied to the purpose for which the usury was applied. Leo’s words are quite clear that the reason for charging interest was well intended therefore it was moral. This is the key factor in the decision and to many a serious investigator, a fundamental flaw in biblical exegesis. Excommunication was threatened against anyone who spoke against the decree of May 1515. In the 500 years since, no pope has done anything to change the status quo [that usury was now defined as excessive interest, rather than any interest], although many have spoken out against the social consequences of the practice of charging interest. … there has recently broken out again a particular controversy … with regard to the relief of the poor by means of loans made to them by public authorities. … the said credit organisations are not out of harmony with Christian dogma, even though there is controversy and different opinions regarding the question [relating to the desire to charge usury in the social service organisations or not]. … the crime of usury or injustice, that is to say a clearly defined evil, since our Lord, according to Luke the evangelist, has bound us by a clear command that we ought not to expect any addition to the capital sum when we grant a loan. … they argue, for the compensation of the organisations … to defray the expenses … they may lawfully ask and receive, in addition to the capital, a moderate and necessary sum from those deriving benefit from the loan, provided that no profit is made therefrom. Once no longer a mortal sin, the door was opened and all hell broke loose within the church, literally. It’s easy to look back now and see the resultant damage to mankind . . . first the Catholic church ramped up it’s own lending services; then it worked with others in private enterprise through business partnerships supporting all manner of usurious practices. Although there were pockets of ‘resistance’, the bulk of the Protestant churches also took over the same practices of accepting it by assessing usury as a matter of degree, rather than as an absolute. Defining excessive interest rates is impossible; for example justifying a 20% interest rate is easy in the context of others charging 45%, but even 0.25% interest compounding still enslaves totally eventually. The Catholic church today is a major player on the international monetary scene and the charging and receiving of interest is now ‘normal’ throughout the Western world. I find the decision of the Fifth Lateran Council and ratified by Pope Leo X to be contrary to the clear teaching of scripture and the date 4 May 1515 to be a significant one in the history of mankind. While currently widespread, usury, the practice of charging interest, is not NORMAL, nor is NECESSARY, nor is it NICE. It enslaves; runs contrary to clear biblical teaching and everything I know about the heart of God which is to LOVE & GIVE and to do so freely in the light of His Word and His example – Jesus. The decision itself is akin to that of saying, it’s now OK to poison your children, but just do it if there’s too many of them to feed easily – essentially justifying evil as a means for an end, a concept that only ever comes from the pit of hell. The book of Daniel; the book of Revelation to John; the growing recognition that something is seriously wrong with the global economy; the power of precedent by way of individually collapsed societies all point to an impending international trauma. I think that it is quite possible that the Lord knows and understands this all! It’s our job then to read, to ask questions, to think, to work it out and to then act intelligently. While challenging, there are simple straight-forward ways to address this evil. Cold-turkey extraction from all usurious money is unrealistic for many but should the current usurious financial system collapse under its own weight (as the natural consequences of evil always does cause implosion, death and destruction) then people will be forced to consider alternatives. The sooner the better in my book. As they say, it’s better to be a year or two early than a day or two late! I have blogged extensively and intend to continue blogging about the subject and those various alternatives. My free eBook Mistakes of the Monetary Reformers is a good place to start. Thanks for stopping by. It hasn’t been much of a pleasure sharing with you today, because it is a sad day and a sad topic, but hopefully we can all proceed with our living today a little wiser. [1.] I consider the Wikipedia definition a poor definition, for it describes usury as “excessive interest” and only mentions that some people consider usury as ANY interest. This is the wrong way around – it should be rephrased that usury IS interest and some people (even the majority of people) consider it to be excessive interest. [2.] The definition of usury was universally accepted as ANY charges additional to the amount loaned. Some defined it as theft of time, owned by God and therefore not commercialisable by man. This concept is foreign to modern Western man but this has not always been the case. In Samoa for example the repayment of debts has historically not been affected by time, so that a delay in repayment did not incur a required increase in payment (the essence of charging interest). [3.] If you lend money to any of my people who are needy among you, do not be like a moneylender to him; do not charge him interest. Exodus 22:25 and many more. [5.] But love your enemies, and do good, and lend, expecting nothing back. [6.] Usury was condemned universally. [7.] Participating in a Mortal Sin prohibited a Christian burial for example. [8.] The Protestant take on usury is best outlined in Michael Hoffman’s book Usury in Christendom where he shows that the Catholic practices were generally, but not exclusively followed by the Protestants. It’s not a simple or black and white issue as some portray it to be. Regardless, usury is the basis of all Legal Tender money used across the globe today and the curse applies to all. Leo, bishop, servant of the servants of God, with the approval of the sacred council, for an everlasting record. We ought to give first place in our pastoral office, among our many anxious cares, to ensuring that what is healthy, praiseworthy, in keeping with the christian faith, and in harmony with good customs may be not only clarified in our time but also made known to future generations, and that what could offer matter for scandal be totally cut down, wholly uprooted and nowhere permitted to spread, while at the same time permitting those seeds to be planted in the Lord’s field and in the vineyard of the Lord of hosts which can spiritually feed the minds of the faithful, once the cockle has been uprooted and the wild olive cut down. Indeed, we have learnt that among some of our dear sons who were masters in theology and doctors of civil and canon law, there has recently broken out again a particular controversy, not without scandal and disquiet for ordinary people, with regard to the relief of the poor by means of loans made to them by public authorities. They are popularly called credit organisations and have been set up in many cities of Italy by the magistrates of the cities and by other Christians, to assist by this kind of loan the lack of resources among the poor lest they be swallowed up by the greed of usurers They have been praised and encouraged by holy men, preachers of God’s word, and approved and confirmed also by a number of our predecessors as popes, to the effect that the said credit organisations are not out of harmony with christian dogma, even though there is controversy and different opinions regarding the question . Some of these masters and doctors say that the credit organisations are unlawful. After a fixed period of time has passed, they say, those attached to these organisations demand from the poor to whom they make a loan so much per pound in addition to the capital sum. For this reason they cannot avoid the crime of usury or injustice, that is to say a clearly defined evil, since our Lord, according to Luke the evangelist, has bound us by a clear command that we ought not to expect any addition to the capital sum when we grant a loan. For, that is the real meaning of usury: when, from its use, a thing which produces nothing is applied to the acquiring of gain and profit without any work, any expense or any risk. The same masters and doctors add that in these credit organisations neither commutative nor distributive justice is observed, even though contracts of this kind, if they are to be duly approved, ought not to go beyond the bounds of justice. They endeavour to prove this on the grounds that the expenses of the maintenance of these organisations, which ought to be paid by many persons (as they say), are extracted only from the poor to whom a loan is made; and at the same time certain other persons are given more than their necessary and moderate expenses (as they seem to imply), not without an appearance of evil and an encouragement to wrongdoing . But many other masters and doctors say the opposite and, both in writing and in speech, unite in speaking in many of the schools in Italy in defence of so great a benefit and one so necessary to the state, on the grounds that nothing is being sought nor hoped for from the loan as such. Nevertheless, they argue, for the compensation of the organisations — that is, to defray the expenses of those employed and of all the things necessarily pertaining to the upkeep of the said organisations — they may lawfully ask and receive, in addition to the capital, a moderate and necessary sum from those deriving benefit from the loan, provided that no profit is made therefrom. This is in virtue of the rule of law that the person who experiences benefit ought also to meet the charge, especially when there is added the support of the apostolic authority. They point out that this opinion was approved by our predecessors of happy memory, the Roman pontiffs Paul II, Sixtus IV, Innocent VIII, Alexander VI and Julius II, as well as by saints and persons devoted to God and held in high esteem for their holiness, and has been preached in sermons about the gospel truth . We wish to make suitable arrangements on this question (in accord with what we have received from on high). We commend the zeal for justice displayed by the former group, which desires to prevent the opening up of the chasm of usury, as well as the love of piety and truth shown by the latter group, which wishes to aid the poor, and indeed the earnestness of both sides. Since, therefore, this whole question appears to concern the peace and tranquility of the whole christian state, we declare and define, with the approval of the sacred council, that the above-mentioned credit organisations, established by states and hitherto approved and confirmed by the authority of the apostolic see, do not introduce any kind of evil or provide any incentive to sin if they receive, in addition to the capital, a moderate sum for their expenses and by way of compensation, provided it is intended exclusively to defray the expenses of those employed and of other things pertaining (as mentioned) to the upkeep of the organisations, and provided that no profit is made therefrom. They ought not, indeed, to be condemned in any way. Rather, such a type of lending is meritorious and should be praised and approved. It certainly should not be considered as usurious; it is lawful to preach the piety and mercy of such organisations to the people, including the indulgences granted for this purpose by the holy apostolic see; and in the future, with the approval of the apostolic see, other similar credit organisations can be established. It would, however, be much more perfect and more holy if such credit organisations were completely gratuitous: that is, if those establishing them provided definite sums with which would be paid, if not the total expenses, then at least half the wages of those employed by the organisations, with the result that the debt of the poor would be lightened thereby. We therefore decree that Christ’s faithful ought to be prompted, by a grant of substantial indulgences, to give aid to the poor by providing the sums of which we have spoken, m order to meet the costs of the organisations . It is our will that all religious as well as ecclesiastical and secular persons who henceforth dare to preach or argue otherwise by word or in writing, contrary to the sense of the present declaration and sanction, incur the punishment of immediate excommunication, notwithstanding any kind of privilege, things said above, constitutions and orders of the apostolic see, and anything else to the contrary. iv) One parable – in which usurious practices are used in an example, not a specific teaching authorising it. Understanding that the one Old Testament scripture that authorised usury did so as a method to enslave God’s enemies removes any doubt that usury was prohibited. Claiming that this one exception permits wholesale usury brings scripture into conflict with scripture. God is not confused about the matter! Likewise with the New Testament teaching – Jesus came to fulfil the law, thus any scripture that appears to endorse something prohibited in the Old Testament must be being interpreted wrongly. The parables used to justify usury are interpreted in different ways – the traditional teaching and cursory assumption that the greedy unjust master is a type of God and that usury is a good thing, doesn’t ‘wash’ with me in the slightest. The parables speak of other matters, contrast the ‘way of the world’ not encourage us to act immorally and don’t condone usury for me – at all! It’s a slam-dunk – Usury is evil, period. Mankind is in the baneful grasp of the illuminati central bankers. The Second World War is usually depicted as a struggle to save “civilization” from Nazi barbarism. In fact, the war was a satanist end in itself, a horrifying degradation of humanity designed to advance a tyranny more subtle than the Nazis, but not totally different. The PDF on the history of Usury in the English Church is a big read but solid! In the UK we have seen an “explosion” of “pay day lending”, with companies like Wonga advertizing them selves on television. These companies exploit the human weakness of seeing things around them which they wish to possess, but in the normal course of events, cannot , without saving up first. More thoughtful people realize that debt is a bad idea, as you put yourself in somebody else’s power; they can and will harass you if you don’t or can’t pay the money back and they have the backing of law behind them.Less thoughtful people won’t or can’t bring themselves to do this and so, get into trouble. The ancient Israelites realised this and brought in the idea of the “Jubilee”, every 50 years, when all debts were annulled, so debtors were freed from slavery etc. and mortgaged property was returned to its original owners. To protect the weaker willed and to make a hint to the usurers, let’s bring back the Jubilee, on an a regular basis. Its got Biblical justification! Thanks John. I view the problem as an opportunity and the solution simpler than returning to the Jubilee – let the system collapse and be ready to use true money P2P trust based credit arrangements when the prophecies of Daniel and Revelation come about. The Jubilee is an ambulance at the bottom of the cliff and taking on a Beast is not wisdom. Better to develop systems on true money/credit (Mutual Credit) and trust God that when the system implodes that He will be there teaching and encouraging individuals to interact and trade with real money – interest free credit extended to and from individuals. Thanks for posting here. Although various dictionaries say that the original definition of usury was *any* rate of interest, I could never find out *when* it was redefined and by whom (and what they would have to gain from it) until I came across this article. I’m glad to see that the article also, at least in passing, mentions the deflationary effect that interest inevitably has on the money supply, “With short monetary supply at the time the ‘nod’ given to the church’s own pawn shop to charge “moderate” interest (and only for the purposes of cost-recovery) must have seemed very reasonable to those involved.” I often wonder if the writers of the Torah and the New Testament were aware of the terminal nature of interest? 1. The true writer (the Spirit of God) of course did and I would hazard a guess that they did in deed understand the evil inherent in usury. 2. The spirit of usurious practices commenced in the Garden of Eden (getting something for nothing). 3. Flowing on from that the knowledge that ‘the heart is forever deceiptful’ so in general most rebellion contains a high degree of deception. I give TPTB top marks for implementing their strategy for global enslavement [God has clearly permitted and predicted this] but is the deception that winds me up! Let people choose, I say, but speak the truth for all it’s worth. Of course, we also have to ask the question: Do banks actually lend their own money? Do they even have the principal at risk, which would ostensibly justify interest?